Welcome home to your maintenance free villa in the gated community of Silverleaf in Parrish. 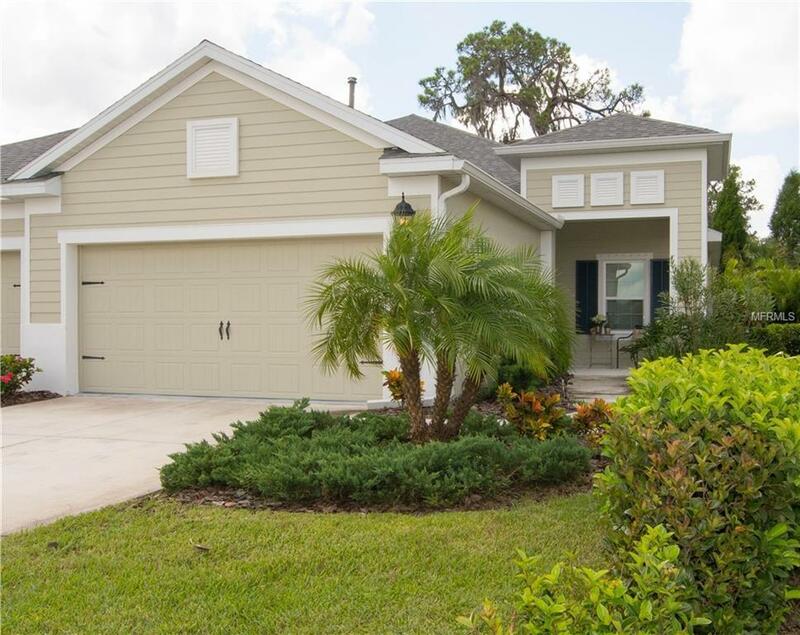 As soon as you walk through the front door of this gorgeous Neal Communities Tidewater villa your eye is immediately drawn to the dramatic open 1524 sq ft floor plan offering 2 bedrooms, 2 baths, den and 2 car garage. The kitchen is beautifully appointed with espresso cabinetry, solid surface countertops, stainless steel appliances including a gas range and a large center island which overlooks the great room and lanai. Master suite will not disappoint with its walk-in closet, his and her vanities and an oversized shower. Step outside and relax in the spacious screened lanai with a private wooded view. An amenity-rich community Silver Leaf features a recreation center with a fitness center, pool and spa, a playground, picnic shelter with grills, basketball court, two dog parks and walking trail. Furniture is available to purchase as seen. The Chandelier above the dining table does not convey. Call today for your private showing!